It saddens me greatly that so many people experience loneliness every day. A staggering 20% of the UK population experience loneliness. 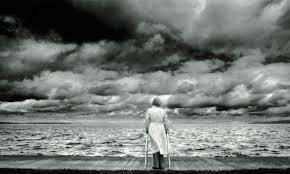 Most worrying is the fact that 3.8 million older people live alone, many of whom never see or speak to anyone all day. Some of the lonely people recently interviewed said that their best two friends were their pet and TV. The main problem with loneliness is that it leads to mental health issues that can become terminal. It’s predicted that there will be a 44% increase in older people living alone. The fact that people can die at home and not be discovered for days is a harrowing reality. As a civilised society we must start tackling loneliness. Let’s start now by being more neighbourly, inviting people into our social circles and looking for new ways to involve lonely people in community activities. Imagine what a better place it would be if we all helped one person overcome loneliness!